The Asda and Sainsbury's merger could potentially mean shutting up to 300 stores says a report from The Times. The Sainsbury’s and Asda merger, that some have now cleverly dubbed “Ainsbury’s”, could put a potential 300 stores at risk of closure if the proposed £12bn deal goes ahead. 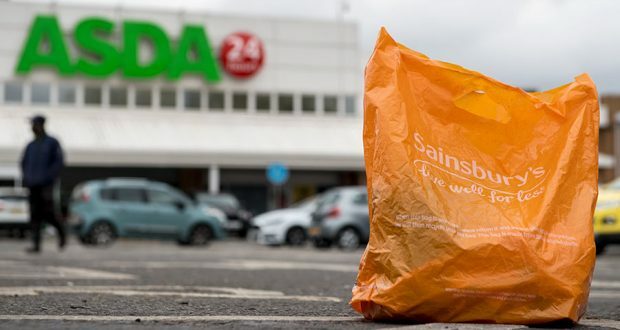 The proposed merger between Sainsbury’s and Asda could see up to 300 stores scrapped if plans go ahead according to new research conducted by The Times. The researched employed techniques typically used by the Competition and Markets Authority, and it showed that there are at least 300 catchment areas where the merger could run into local competition concerns. A spokesperson from Sainsbury’s spoke to us stating that this is nothing more than “speculation” and that whilst the decision could potentially be made by the CMA, the report is only hypothetical at the moment. She also alluded to the fact this there is no set time to be able to get an answer out to retailers at the moment. This new development in the mega-merger throws up some interesting regulatory problems. The report, dubbing the closure of stores from the retailers “disposal remedies to ease concerns about high local market share,” could mean that hundreds, if not thousands of jobs are at risk. Whilst various different locations throughout the UK have been pointed at in the report as potential hotspots for closure, Northern Ireland has not yet appeared on the list. However, with the potential of 300 stores in the UK closing, it would likely that some would have to face termination in NI. Mike Coupe, chief executive of Sainsbury’s, said that the deal would “create a vibrant company that can compete with the Amazons and the Lidls and Aldis of this world” at a time of immense change in the supermarket industry. He said that he was “batting for customers”; promising that the merger would lower prices and improves choice, while pledging to cut prices on some “everyday items” by 10 percent. Whether this research is conclusive of stores closing their doors in the near future is yet to be seen; however, if this is true, the Ainsbury’s merger that many have been waiting for, could prove more problematic than originally thought.